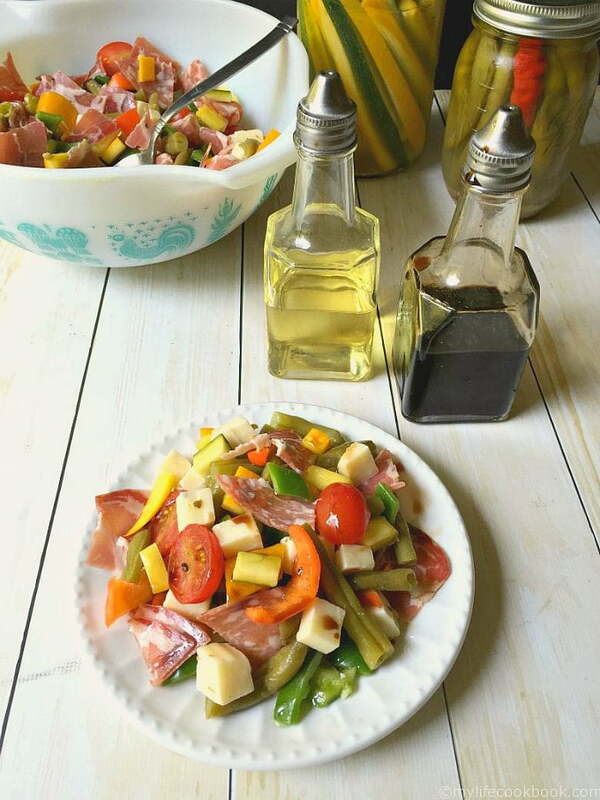 This pickled vegetable antipasto salad is a scrumptious dish perfect for a summer day lunch. 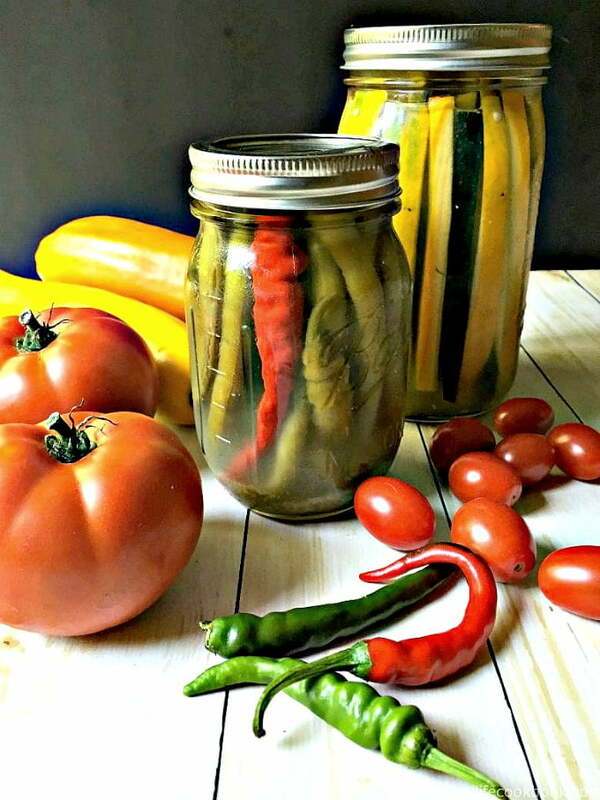 Pickled vegetables and some traditional antipasto fixings are a great way to use all that produce from your garden. My husband has been in a harvesting frenzy. He loves to go out and pick all the produce from our garden. He’s even started using some of it by pickling his hot peppers last week and making his crushed red pepper flakes. But probably my favorite thing he’s made is his pickled zucchini. 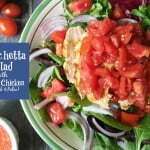 It’s delicious right out of the jar and on salads. 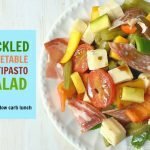 We put our heads together and came up with this Pickled Vegetable Antipasto Salad and ate the whole thing one Sunday for lunch. It was fantastic. Below you can see his pickled green beans and chiles as well as his pickled zucchini. While he favors the green beans because it reminds him of a trip to New Orleans and the bloody Marys we had there, I LOVE the zucchini! I can’t wait to make some more because I can just pull a few out and eat it as a snack. I think he has a post up his sleeve about these so I’ll say no more. However to make the pickled zucchini or green beans, just use the same recipe as his pickled jalapeños but substitute zucchini or green beans for the jalapeños. 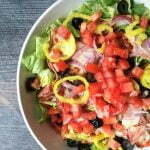 You can put just about anything in this salad. We used as many veggies from the garden as we could such as pickled zucchini and beans along with grape tomatoes and green bell peppers. We added a few mini peppers from the refrigerator for color too. Next we added some hot pepper Monterey Jack cheese, capricola and some sopressetta lunch meat. That’s all there is to it. I felt it needed a bit more dressing so we added some olive oil and vinegar but in truth it really didn’t need it. 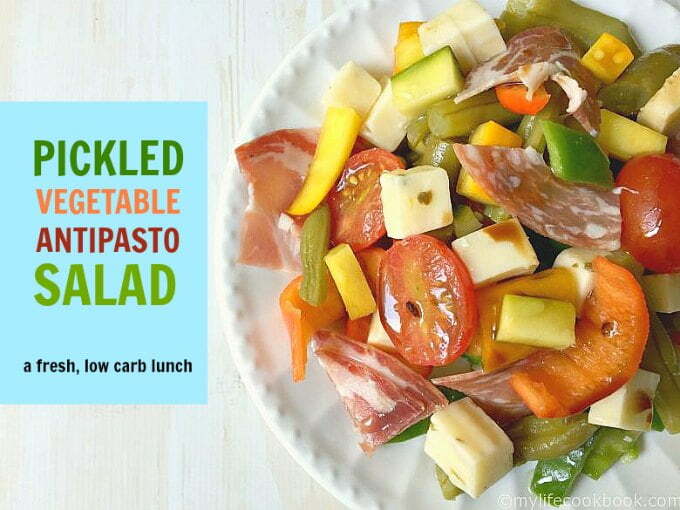 The pickled veggies give it tons of flavor and complements the meat and cheeses. So the dressing is up to you. We are having a family picnic next week and Rick is going to make this for everyone. I think they are going to love it! Chop all your veggies and place in a large salad bowl. Add your chopped meats and cheeses. Add olive and vinegar to taste if you wish. Please note that Rick's pickled zucchini and green beans is the same as the pickled jalapeño recipe referenced above. You make it the same way except use green beans or zucchini instead of the jalapeños. 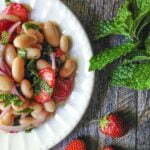 More summer salads to try! This recipe is so up my alley. I LOVE pickles, and I like to pickle my veggies too! 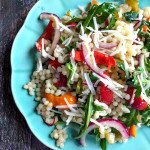 Now you have me wondering what we’re getting at our CSA this week that I could pickle… And I definitely want to try this salad! Thanks Michelle! I love your pickled carrot recipe…would be great in a salad!